A force to be reckoned with, Cristina has an academically brilliant background and is determined to climb the ladder to success, whatever the cost. She doesn’t care what the other interns think of her she makes sure they know it. 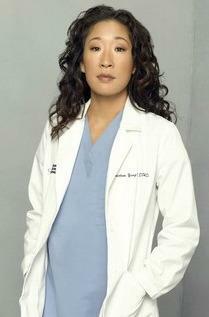 Sandra Oh is aggressive, cut throat and arrogant. Unsurprisingly, she has no bedside manner and no concept of how to relate to her patients. But when a former Grace Hospital nurse ends up being one of her patients we see a glimmer of emotion, suggesting that her tough exterior might have a softer side.